Home Entertainment Food Sizzlin’ Scarves Saves Shivering In Snow Season! Sizzlin’ Scarves Saves Shivering In Snow Season! 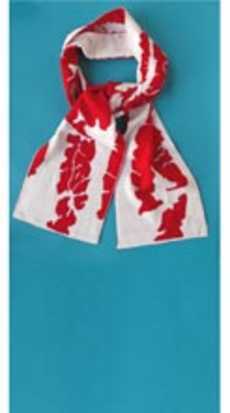 If you are what you eat and like to wear it on your sleeve (or in this case around your neck), the bacon scarf makes a fitting accessory for metaphor-mixing bacon lovers. 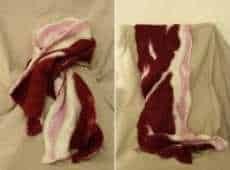 Made from 100% acrylic, it may not be the classiest of bacon scarves but what it lacks in quality it makes up with taste. Pick it up for $35 from Shopsin’s General Store.